Oh, come on. We knew this would happen, it’s Chelsea for God’s sake. A last minute winner is truly deflating, but is it the worst sort of defeat? Let’s go back to another visit to Stamford Bridge, in October 2011. You may not remember it, seeing as it was a dire game, but we were swept aside with ease, like Lacina Traore would brush off a challenge from Joe Allen. That is, unless his hamstring goes first. The five visits to Chelsea previous to that were all draws against average Chelsea sides where we rescued a point and never looked like getting all three. It was painful getting nothing from that game, but wasn’t it great thinking we could get everything from it? Yet you’ve got to accept the sceptical view as well. Too many times we’ve said “at some point we’ll beat them” as if it’s assured. Three times in February we’ve been beaten and said “in the future we’ll be sound”. We’re in serious danger of this current season being one defined by the words “nearly” and “if”. Like fans of a certain side are a bit too obsessed with the past, we’re getting awfully carried away by a future we can’t ever be certain of. So what are the problems right now? While some say we’re “unlucky”, I’d say we’re not at all clinical. Steven Naismith was his usual busy self on Saturday, but he can’t score 25 yards out with his back to goal. He’s not Thierry Henry, no matter what Roberto Martinez told him when he was concussed. Leon Osman continues to thrive against teams that close us down, because his footwork and vision still work for him despite having the pace of Steven Hawking on a cobbled pavement. Can he change a game? No. The likes of Kevin Mirallas and Ross Barkley need to up their game now, because both are playing well below their best. Once they’ve both remembered how and when to pass, we’ll be laughing. February was hardly kind to us in terms of fixtures, but with the upcoming games there’s no need to beware the Ides of March. After Arsenal in the FA Cup – a game that will hinge entirely on taking the chances we create – we have home games against Cardiff and Swansea, followed by trips to Newcastle and Fulham. There might even be a Goodison clash with Crystal Palace thrown in if there’s space for it. But before that we’ll have to deal with West Ham. In classic Everton form, we’ve got them when they’re at their very best. 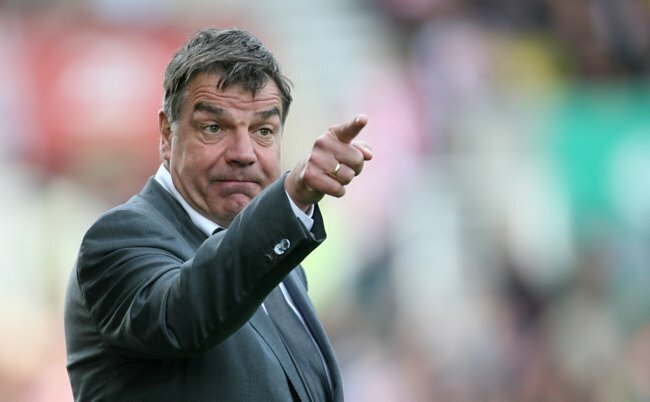 From being written off by the press – wonder what that feels like – Sam Allardyce has lead a bit of an industrial revolution. They’ve got as much style as a Phil Neville step-over but they’re grinding out results. In a sense the anti-Everton. They’re in top form and welcome back their only striker of anything close to repute, Andy Carroll. We’re having a tough time and Jagielka will be replaced by Stones. Doesn’t bode too well. Then again, we’re unbeaten in eleven against West Ham. But we were also unbeaten this century at home to Sunderland. The times, they are a’changin’. You can’t make many changes to a winning team, but there’s always time to get rid of Carlton Cole. Adrian in goal, Demel, McCartney, Collins, Tomkins, Taylor, Noble, Nolan, Downing. Sounds incredibly average, doesn’t it? Then again, we’ve never done well against the average lot. And the embodiment of mediocre, Andy Carroll, will cause havoc for our defence until he gets knackered and put out to pasture. Mo Diame’s an option, and Nocerino’s there to do me head in too. AC Milan to West Ham? Up there with Tommy Gravesen, him. Tim Howard has to get over falling over himself again for the Terry goal and needs to get a clean sheet under his belt. John Stones is being thrown into a tough encounter here so we’ll need Sylvain Distin to have another good game. Baines and Coleman could do with getting back into the knack of creating chances, so Steven Pienaar needs to do more than continuous flicks and Kevin Mirallas could do with playing a ball before he runs clean across the Irish Sea. I’d play Osman over Barkley right now. Osman will be better suited to dealing with West Ham’s pressing game and deep defence, which says a lot about Barkley’s current form. The curse of the Everton striker is such that Lacina Traore’s Everton career could be over after a bit over an hour. Would you credit it. Lukaku, who got his first Everton goal in the reverse fixture, needs to reignite his season against the same opponents. He won’t do that with his back to goal, so it’s all about giving the wide men room to cross. Then again, it’s not the easiest defence to notch a header against. 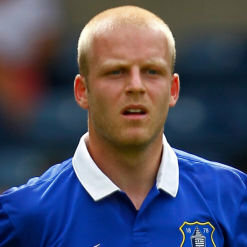 Anyone fancy Naismith as an impact sub? The past week has brought up a couple of thoughts – firstly, how much have our expectations changed? People who wrote off this season as an 8th place finish, loons who reckoned Swansea and Southampton would finish above us – imagine – are now having kittens because we’re below Manchester United on goal difference. Watching the likes of Spurs, United and Swansea f*ck about in Europe made me all nostalgic about our own dalliances. Even a trip to Ludogorets Razgrad would be a step in the right direction. So Europe’s still my only aim. Doing it by winning the FA Cup would be a boss way of going about it as well. Well, I’ve got to be off. I’ve just got the job of Director of Communications off Alan Myers. Trying to call me ma to tell her the good news, but I’m having a hell of a time getting hold of her. Back on the up and the up please, Blues.